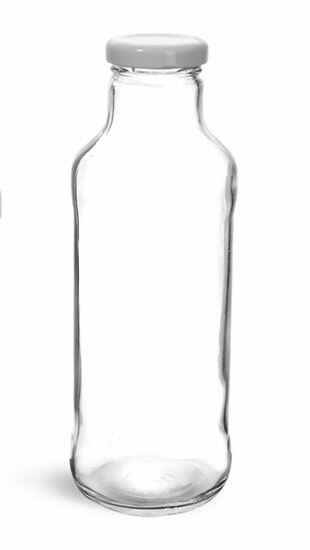 The clear (flint) glass tall beverage bottles come with plastisol lined white metal lug caps. 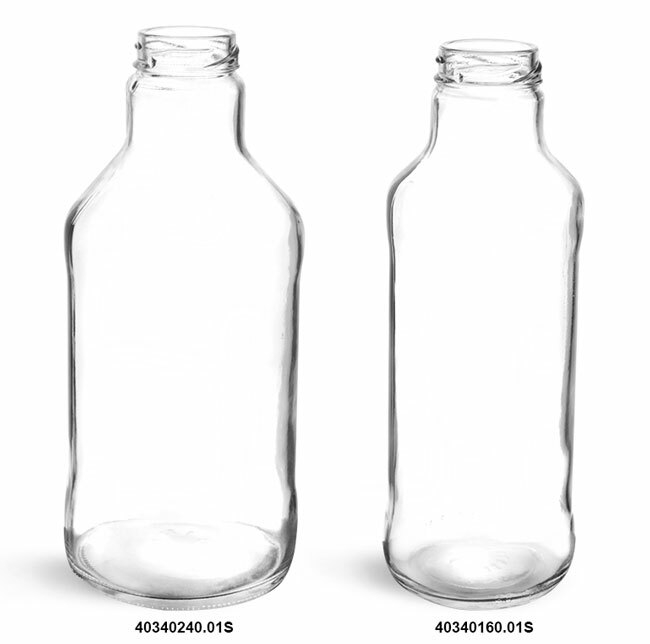 These elegant glass bottles could be great for housing gourmet sauces, dressings, drinks and more. 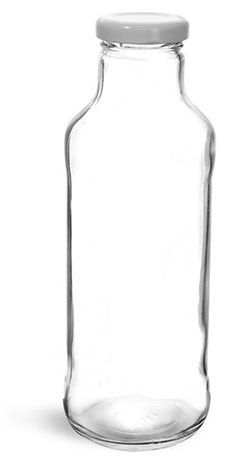 Try adding a red or black shrink band to this bottle, offering your customers a tamper evident container.